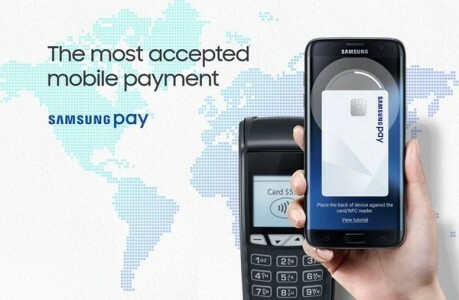 Samsung has finally launched its payments solution arm, Samsung Pay in India for those who registered under the early access program. Interestingly, the app also supports Paytm transactions as the Korean company has partnered with Paytm to gain traction among the 200 million Paytm users. Samsung has rolled out the new services in collaboration with Axis Bank, HDFC Bank, ICICI Bank, SBI, and Standard Chartered bank (MasterCard and VISA debit and credit cards). The company also stated that it will soon start supporting cards from Citibank and American Express as well. Samsung devices which presently support the platform include the Galaxy S7, Galaxy S7 Edge, Galaxy S6 edge+, Galaxy Note 5, Galaxy A5 (2016), and Galaxy A7 (2016). While Samsung Pay is vying with the likes of Android Pay and Apple Pay in India, the service has its own USP. Unlike other digital wallets, Samsung Pay conducts transactions via both MST (Magnetic Secure Transmission) and NFC (Near Field Communication) that makes the service functional at almost every POS terminal. The payments can also be completed via fingerprint scanning or through mobile verification codes. While the mentioned security measures are based on Samsung Knox and ARM TrustZone technologies; user credit card info is stored in a secure token. You can sign up for Samsung Pay’s early access program here.